My Little Pony: Friendship is Magic Season Three is the next huge season about our favorite little mares and their adventures in friendship. 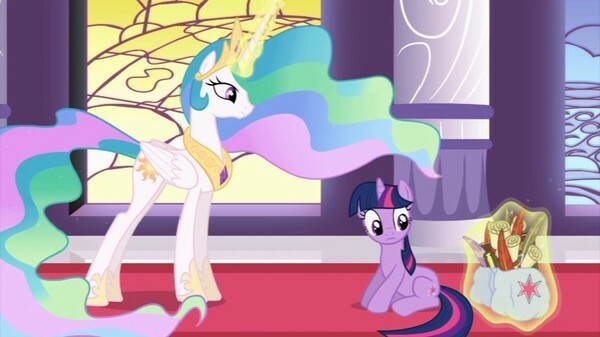 The main premise of the show is that a unicorn named Twilight Sparkle is on a mission to learn what it means to be a true friend and report back to Princess Celestria. Twilight Sparkle has certainly made a lot of friends since she made her first step in Ponyville all the way back in the first season, now she has a much tougher task from Princess Celestria herself. Twilight Sparkles current (and toughest) task is to help save a place called the Crystal Empire, a place that was dormant for a really long time but now isn't. Twilight Sparkle must help the Crystal Empire by reviving the Crystal Heart but it isn't easy as the Crystal Heart is hidden and was so by the previous ruler, King Sombra (an evil vampire pony that I like to call a vampony). Twilight Sparkle doesn't have long though as the evil King Sombra has also returned to take back the Crystal Empire and he won't stop until he has it back in his grips. 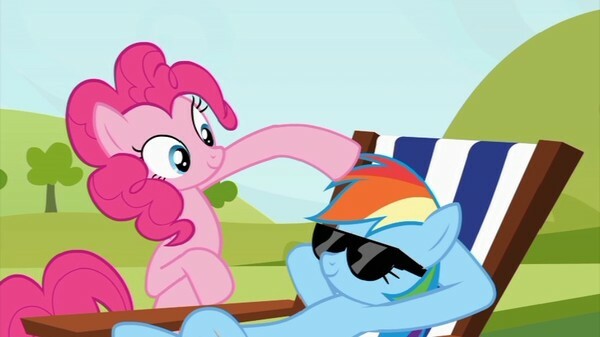 All this and more in this third season of My Little Pony. (Click on "Read More" to read the full review). I quite enjoyed the stories found in this season as they were very entertaining, charming, and had a nice amount of action, drama, and comedy to where everyone can find something to enjoy from it. The writing for this season has improved a little bit as it is a bit tighter and more well paced (minus one part which I'll get to soon), I liked that as more content can be packed into each episode. One thing I would've liked to see more of in this season is more holiday themed episodes like an episode about Halloween, Thanksgiving, ETC, this season is oddly lacking in themed episodes but we do get some very nice Olympic themed episodes that were entertaining as all ever. I did really enjoy how a new region (Crystal Empire) was added in, it gave the show a new layer of freshness and depth as it left the show open for way more ideas for future episodes. I really enjoyed how this show has a bit of a wider appeal than just being an outright female children's show. This show is made in a way where it's designed to be a show that's fun for the whole family. I do like how the show isn't just focused on the main characters, you do see their families as well and it helps to make the pony universe seem very expansive. This season is also the shortest of the season sets as it is a three disc set, opposed to the five discs that season one and two has, enough of the idol trivia, getting back on topic. 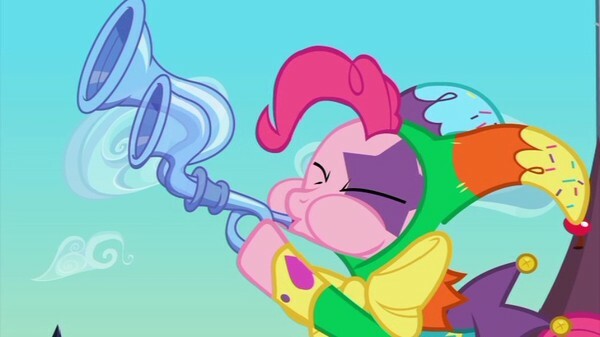 My least favorite part of this season has to be the season finale as there wasn't much going on and was filled to the rim with musical numbers. I am not saying anything bad against musical segments in general, however this episode had so many that it got to the point where a good chunk of them were meaningless and filled up the episode with too much filler. The season finale did also have one of the strongest plot twists that this series has to offer and therefore you will need to watch this episode regardless. Drama in this show is simple and you won't see many deep topics touched upon in this show but it is good enough to get you into what is happening in the episodes, despite knowing that the heroines will win all the time, you will be too deep into the show to even notice that cliché. The deepest topic as far as this season goes is the topic of bullying and even then it is still done in a simple way (not that there's anything wrong with that). Action in this show is entertaining but there isn't as much as you'd think as the main characters would very much settle problems outside of fighting. Comedy in this season is enjoyable as it did get me laughing and also feeling a little bad for all the trouble they go though in the process. Characters in this show are very enjoyable as they all have fun and personalities and are all different in nature and do not feel like cookie cutter generic cartoon characters. Did I enjoy all characters in this season? The answer is that there is no character I dislike but there is one that I never cared for. 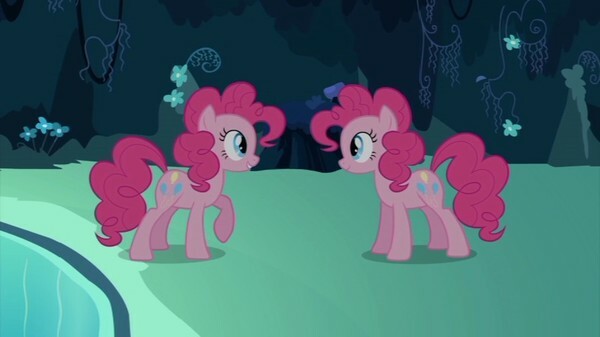 The one character I had no feeling towards was a character named Babs Seed (Apple Bloom's cousin), reason why is because she was a bit of a generic character that didn't have any real personality to her. 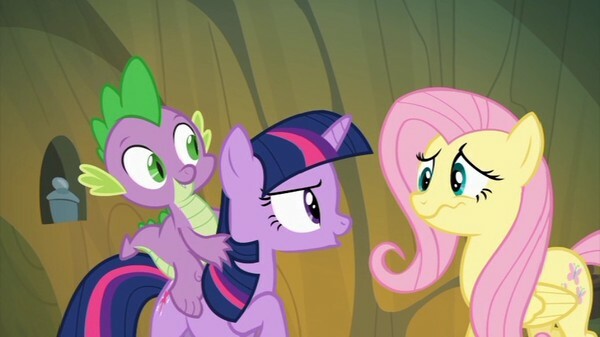 Remember back in my review of the second season how I wasn't fond of Discord? Well, I was right when I made my prediction, I did enjoy him a lot better when he appeared in episodes from this season. Speaking of returns, you will see another surprise return as you'll also see Trixie come back to take her revenge on Twilight Sparkle. Typically the return episodes are no where near as good as the original episodes that those said characters appeared in as they are typically very forced and mean nothing. The thing that this show got right was that those return episodes were very good as they felt very natural for those said characters to be in and do not feel forced one little bit. I enjoyed the art style of this show as it had a nice Saturday morning cartoon style that was also really clean looking. Character designs were basic but it worked perfectly as they weren't characters that needed to be overly detailed looking. The background designs were very flavorful, had a lot of charm, and just looked good overall. This show has a lot of bright colors and they also looked good as they were very vibrant and fun. Animation in this show is decent but there really isn't much more to say as it is very consistent and I couldn't find anything interesting in a good or bad way to point out... Well, mostly as there is one little two second part that had some very wonderful animation but that's as far as it goes for when it comes to interesting stuff. Voice acting in this show is very good as the voices work well with all of the characters and is also very memorable. This is also a show that has a lot of musical numbers and a good chunk of them sounded pretty decent and this is coming from someone that isn't a huge fan of musicals. Do I think that it's a very memorable soundtrack? Some tracks were memorable but there is a lot of forgettable songs in this season, especially songs found in the season final. The special features section is very tiny but you do get sing along versions of the songs: The Ballad of the Crystal Empire, and A True, True Friend. The sing along features are just the same as seeing a music video with karaoke lyrics as you see the lyrics in a purple box on the bottom of the screen. The choices of songs were very appropriate but there could've been more songs if you asked me as there were some songs that were worth re-visiting in a music video styled feature, like the song, Let's Raise This Barn. Another feature that is stated on the box is a printable map of Equestria and that is a genius feature. The way you access the image is by putting in the second disc into a DVD-Drive on the PC and Bob's your burger... I mean uncle. Sadly, when I tried to search the for the image in the data of the disc, the image was not there and that seems to be a pressing error. I hope this gets fixed for future pressings of this set as it is a very neat feature. Lastly, all of the discs come packed in a very nice looking box that looks nice siting on your shelf... Before the young ones draw all over it and crush it like how children do (can't blame them, we've all done stuff like that when we were young and handling box sets). Overall, this may be the shortest season release to date but it is a very enjoyable one and is my second-favorite season as of date. Fans of the show will enjoy this but for those whom want to get into the show, they will find that this isn't the best season to jump into if you want to get into the show. Fun season.